” The U.S. government threatened to fine Yahoo $250,000 a day in 2008 if it failed to comply with a broad demand to hand over user communications — a request the company believed was unconstitutional — according to court documents unsealed Thursday that illuminate how federal officials forced American tech companies to participate in the National Security Agency’s controversial PRISM program. ” A public policy group says a review of U.S. terrorist arrests shows the government’s collection of bulk phone records does little to prevent terrorism, adding fuel to a debate over whether the spy program should be ended. The nonprofit New America Foundation, based in Washington, analyzed cases involving 225 people recruited by al-Qaeda or other terrorist groups and charged in the U.S. since the Sept. 11, 2001, attacks. The majority of cases started with traditional techniques, such as use of “informants, tips from local communities, and targeted intelligence operations,” according to a report today from the group, which has been critical of the NSA spy programs. ” Most people involved in the tech scene have at least one friend who has been warning everyone they know about protecting their digital trail for years — and have watched that friend get accused of being being a tinfoil-hat-wearing conspiracy theorist. But 2013 is the year that proved your “paranoid” friend right. ” Today, there are full-page advertisements running in the New York Times, Washington Post, Politico, Roll Call, and The Hill. They all have the same message: big tech companies are calling on Congress to rein in the mass surveillance. You can read the full message on the newly-launched Reform Government Surveillance site. It’s about time . Don’t forget that these companies were very quick to roll over and give the government everything that it demanded as far as access to our personal data and while we commend them for their newfound love of privacy one can only wonder if this letter would have ever come about without the revelations from Edward Snowden being made public . 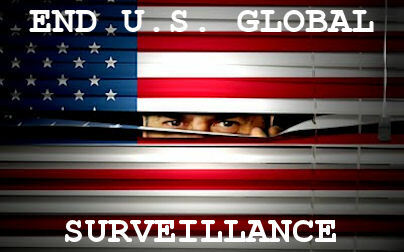 For now color us cautiously optimistic regarding these corporations recently acquired respect for the fourth amendment . It is also worth noting that there are no cell phone carriers/providers among the companies clamoring for renewed privacy laws and therein lies a major drawback to the entire effort to re-establish our right to protection from illegal search and seizure . The NSA knows who Grandma Smith invited to her bridge game last week but six months later they have no idea how many documents Edward Snowden took with him . That’s confidence inspiring . … Is This Why He Left The Guardian? The archives are so complex and so deep and so shocking, that I think the most shocking and significant stories are the ones we are still working on, and have yet to publish. the Directors of all the major Internet organizations — ICANN, the Internet Engineering Task Force, the Internet Architecture Board, the World Wide Web Consortium, the Internet Society, all five of the regional Internet address registries — turned their back on the US government. With striking unanimity, the organizations that actually develop and administer Internet standards and resources initiated a break with 3 decades of U.S. dominance of Internet governance. They called for accelerating the globalization of and functions, towards an environment in which all stakeholders, including all governments, participate on an equal footing. ” This resource and action page is not intended to explain WHY the NSA spying program is wrong. It assumes you’re already on board with that fact. This page exists to provide you the tools needed to begin resisting it. Passage of the 4th Amendment Protection Act in your state, county, city and town will create obstacles to implementation that will help thwart the unconstitutional spying efforts of the federal government. State laws, local resolutions, and even campus legislation are all important pieces of the puzzle to resist and nullify NSA spying. (model legislation here). The 4th Amendment Protection Act is an important first step to stopping NSA spying. You can be sure that this one bill (and no single piece of legislation) will stop the NSA on its own. Passage of this legislation will be a big piece of the puzzle to the overall resistance. Once your state completes this first step, there are more…aggressive…measures that will be implemented to push back. Scroll down below the map to learn more. 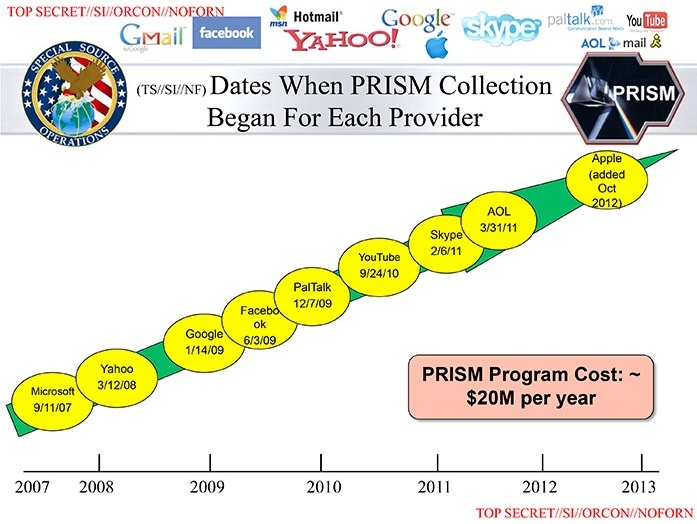 While there is no silver bullet to stop the NSA, you have an option. Wait for the federal government to give up this power, or resist it in any way possible. These steps are just the first step of what will likely be a multi-year campaign to resist, refuse to comply, and nullify the unconstitutional NSA programs. ” Under ongoing scrutiny from the public, the National Security Agency took another hit on Saturday when two Brazilian journalists joined forces to expose, what they refer to as, a “U.S. assassination program.” These men, Jeremy Scahill, author of the New York Times best seller “Dirty Wars” and Glenn Greenwald, the first journalist to report on the Edward Snowden leaks, suggest that they have a found a link between the NSA and targeted killings. “The connections between war and surveillance are clear. ” As the nation’s spy agencies assess the fallout from disclosures about their surveillance programs, some government analysts and senior officials have made a startling finding: the impact of a leaked terrorist plot by Al Qaeda in August has caused more immediate damage to American counterterrorism efforts than the thousands of classified documents disclosed by Edward Snowden, the former National Security Agency contractor. 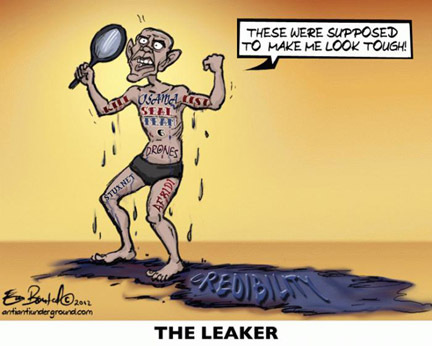 ” This summer, some of our worst fears and suspicions about the NSA have been confirmed. We now have evidence that the NSA is actively undermining the basic security of the Internet. 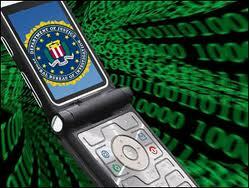 It iscollecting millions and millions of phone records of individuals not suspected of any crime. It issurveilling journalists. But there’s a movement forming to change all of this. And we’re about to take the next step. ” The head of the National Security Agency sidestepped questions Thursday from a senator about whether the NSA has ever used Americans cellphone signals to collect information on their whereabouts that would allow tracking of the movements of individual callers. Wyden promised to keep asking. ” The Indian diplomatic mission in London has turned to typewriters for writing sensitive documents to avoid snooping by security agencies, after it emerged that New Delhi’s diplomatic missions in New York and Washington were bugged by the National Security Agency (NSA). The High Commission of India in the UK has also urged Indian diplomatic staff to be extra careful in dealing with top-secret documents, while officials have been warned about potential bugs inside the buildings. The new policy comes days after it was revealed – through Edward Snowden’s disclosures – that the NSA planted high-tech bugs to spy on Indian diplomats in Washington and at the UN headquarters. India is not the first country to use typewriters to battle security leaks. The Kremlin’s communications watchdog, the Federal Protection Service (FSO), has ordered typewriters to produce sensitive documents.